There are thousands of companies who manufacture the four components of digital signage (screens, media players, software and content). Empire Digital Signs is an integration company—that means we don’t manufacture our own hardware and we don’t write our own software. Instead, we explore the market and integrate each of the components of digital signage to create a solution that meets and exceeds your needs. Our consultative sales process begins with discussing your goals, budget and plans for the future. 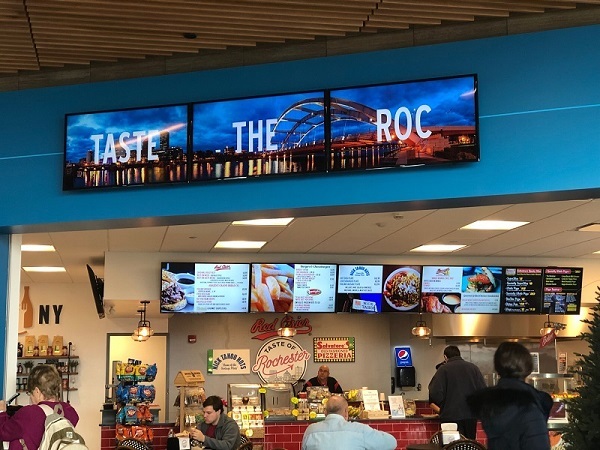 Then we hit the fragmented digital signage market for the best combinations of components to produce a signage solution that’s completely customized. We’ll never sell you a package with expensive features that you won’t use and we’ll never sell you a package that doesn’t meet all of your needs. The end result is a digital signage solution that’s within budget, rich with features, and designed exclusively to help you reach your goals. Day-Parting: Ability to schedule content to appear and disappear at certain times which can be done weeks or months in advance. Personalization: Create personalized welcome signs for special guests or parties. Add video, animations, and eye-catching imagery that fits your brand and facility. Zoning: Split one screen into logical areas of attraction and information, which gives the opportunity to display more than one message at once. RSS Feeds: Live news feeds crawl along the bottom of the display to attract more viewers. These can be from any news outlet or your own personal feed. Social Media Feeds: Promote your social media outlets with live feeds and hashtags to encourage customer involvement. 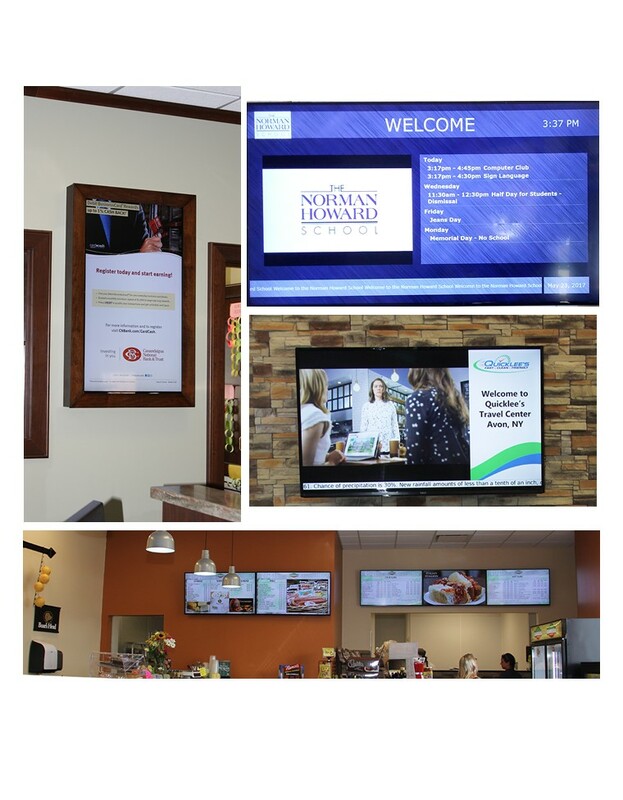 Low Cost: We provide multiple software subscription packages to help you stay within budget, but still reap all the benefits of digital signage software. Our relationships don’t just end once our clients’ signs are in place. Instead, we offer services that not only include the components of your sign, but also the ongoing communication and support to ensure you’re up and running smoothly year-round. Displays: We only use commercial grade screens. This is what sets our displays apart from department store TVs. They’re built to run 24/7, 365, and are bright enough to combat any natural lighting in your facility. Media Player: The media player is the computer that drives the entire system. Software: Digital signage software is a must for businesses who are looking to create effective and eye-catching digital signage campaigns. DS software allows for day-parting, scheduling, zoning and video capabilities on your sign. Content Creation Services: Without strong, engaging content, your sign won’t produce the effect you desire. We provide content management services for those who do not have the resources to maintain this important component. In-House Testing: All of our products go through an extensive in-house testing and Quality Assurance process. Your sign will be tailored exactly to your liking upon delivery with all its systems working flawlessly. Training: To make the maintenance of your digital sign as stress-free as possible, we provide on- or off-site training to help you become an expert of your sign’s functions and systems. Support Packages: We depend on the success of your digital sign to prove the merit of our business. Once your system is up and running, we provide both remote and on-site support packages for you to choose from.